Home software Tricks How to scan QR codes on computer android or iphone! 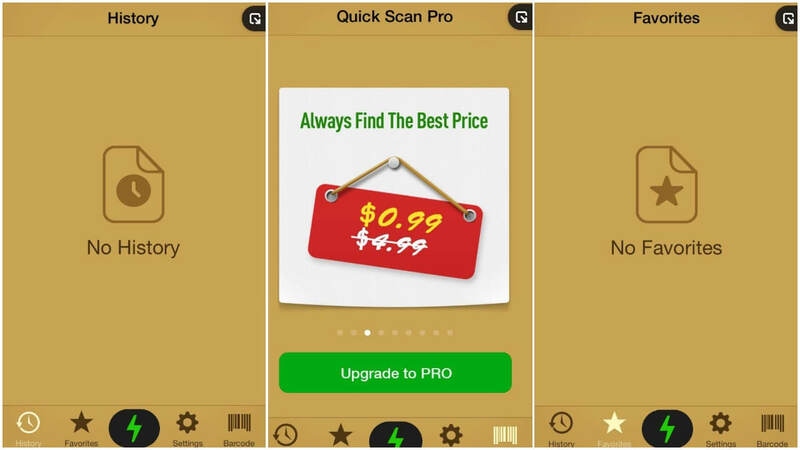 How to scan QR codes on computer android or iphone! In this article we will find out - what is a QR code and several ways to scan QR codes on computer android or iphone!. QR codes were invented a few decades ago in Japan. They are 2D barcodes that can pack a lot of information in a relatively small space. In addition, their design makes them very resistant in case their support scratches. Since QR codes are increasingly used around the world, knowing how to digitize / decode them is very useful. 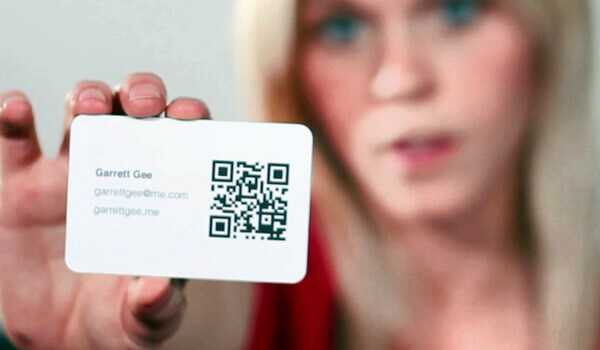 In this article we will find out - what is a QR code and several ways to scan QR codes. QR Code stands for " Quick Response Code". It is a machine-readable code that can be decoded with the help of a smart device (telephones, tablets, etc.) QR codes are simply a representation of the text information that has been coded into one 2D barcode form. There are tons of QR code scanner applications available on the Play Store and most of them work as expected. 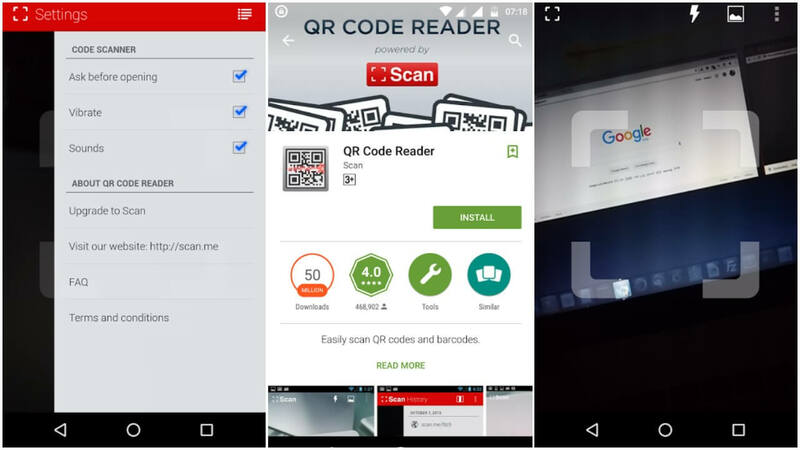 However, we will mention that one of the popular applications of the QR scanner for Android. Do not worry, all the QR code scanner application works (more or less) in the same way. QR Code Reader One of the most popular QR code scanner application. It can also barcode product analysis and let you know more about the price of a product. The application is 2.20 MB in size and has no known abnormal bugs at the time of publication. It is totally free. Fortunately, it does not contain app ads. However, to be able to analyze all types of barcodes, you need to upgrade to the pro version at 2 USD . In addition, with the premium version installed, you get the ability to set the QR codes to open your default browser instead of the application in the browser. Step 1 : Install the Play Store app (not store 3rd party!). Step 2 : Open the application. Step 3 : Now, just point the camera at your device to the QR code. Note: Some QR codes may direct you to malicious websites and attempt to install unwanted applications. Similar to Android, iPhone or devices running iOS are not the built-in ability to scan QR codes. Apple Pay surely will scan the QR codes and verify use in Walmart retail stores (or similar partner stores). But, you can not use it for anything other than payments. The most popular application of the QR scanner for iOS devices - Quick Scan - QR Code reader . Let us know how it works. Step 1 : Install the application in the App Store. Step 2 : Tap the application icon to launch it. Step 3 : Now you can simply point the camera of your camera to the choice QR Code. So it is fairly simple to use and works the same way on Android as well. As QR codes are used almost everywhere (integrated into an image, directs you to download an application on a website, and tons more), it was necessary to extend the functionality to scan QR codes even without a smartphone. If you buy a smartphone just to scan a QR code on the web? No, you do not. There are several QR code scanner software tools developed. CodeTwo QR Code Desktop Drive is one of them. It is a freeware (software that is available for free) for Windows. So, if you are a Mac user, you can try QR Journal . And, just in case, you are a Linux user, you can head to this thread to start. Step 1: Download the installation file from the official site . Step 2 : Open the installation file and follow the on-screen instructions to complete the installation. Step 3 : Once you have completed the installation, launch the software. Step 4: Choose how you want to crawl the code. 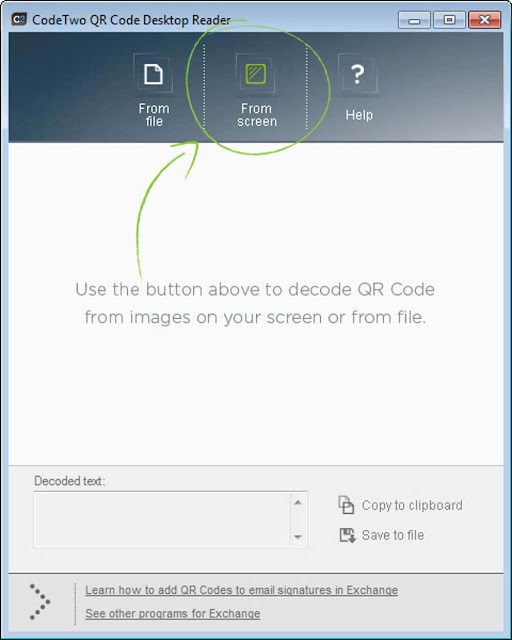 Here, the tool offers two different ways you can work with QR codes - from the screen and from a file. Step 5 : If you want to scan a QR code that you observed on a website, email, and banner, you can select the option - From the screen to scan the QR code by highlighting with the ' Using your cursor (similar to what you do with the clipping tool). Step 6 : If you have a downloaded image file, you can select - From File to select the desired file and scan it. If you want a dedicated device to scan QR codes, there is nothing better than a QR scanner / barcode device. Device would have come handy if you are a physical retailer or role you need to scan codes regularly. There are several manufacturers that offer these devices. Let's look at PegasusTech , Argox and Honeywell as some of the recommended brands to get a code scanning device from. There are several ways we can scan a QR code. The most expensive way would be the barcode scanning device, and is the easiest smartphone. If you are not equipped with a smartphone, you can do it on your PC too! Do you have something interesting to share with us? Perhaps a new way to scan QR codes? Let us know your thoughts in the comments below.